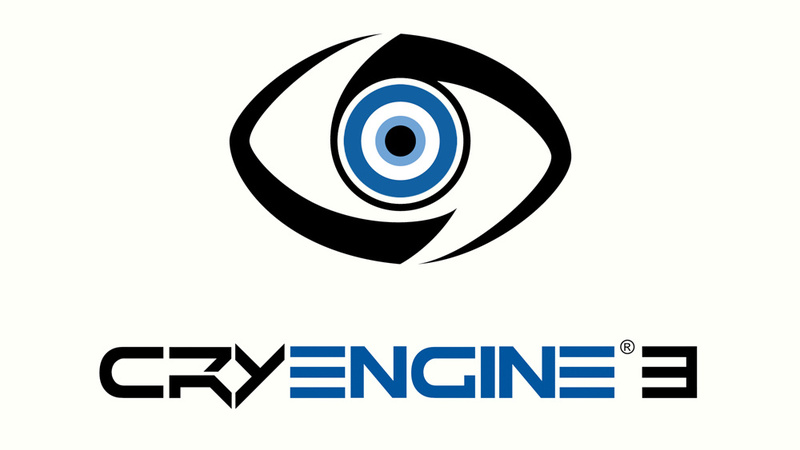 Crytek is making the shift to a free-to-play model once its current games are complete, so for now it won't be developing any Wii U titles of its own — but that doesn't mean that the superb CryEngine 3, most famous for powering the Crysis games, is going anywhere. In fact, it "runs beautifully" on Wii U and a "respected developer" has a CryEngine 3 game in the works for the platform. In an interview with CVG, Crytek CEO Cevat Yerli spoke positively about Wii U despite Crytek not working on a title for the system itself. He's impressed with what other developers are doing with the console, though. "My opinion of the Wii U is very high. It's just that we didn't have a business case unfortunately that justifies us making a game for it." "It doesn't mean that CryEngine 3 doesn't run on Wii U - it actually runs beautifully. In fact, there actually is a game in development from a respected developer that we will be announcing. I've seen the game running and it looks really great." Yerli also deflected concerns that Wii U is less powerful than the current generation of HD consoles, declaring that the system is at "minimum as powerful as Xbox 360". "From my perspective I do not understand the public's concerns that the Wii U is weaker than PS3 and 360. That I cannot see. From my perspective the Wii U is minimum as powerful as Xbox 360." That solves that, then. Anybody care to have a wild guess at the mystery developer? "Runs beautifully on medium settings"
I'm honestly not too fond of the PC version of CryEngine 3. The way the frames are anti-aliased along with the way motion-blur is rendered...is just ugly. Not sure about the console versions though. Anyway, that's nice to know. I don't know what to think of this... until I see that mystery game. "the Wii U is minimum as powerful as Xbox 360"
This means that wii-u is capable of old-gen graphics, compared to the next gen consoles. This implies that when the next gen consoles will come to us, and the next gen games wil be produced, we'll have to buy a next gen console to enjoy them. @Soviet-Dictator The engine is scalable after all. If we would have a high-end PC level console it would be too costly. A $1000 gaming console? No, it means it can easily run games that pushes the current gen consoles. it's what i mean: ok for the current gen.... but the next gen in 2013? Like abHS4L said, it means the Wii U can easily run anything from the ending generation at the VERY LEAST. It doesn't mean that it can't run future games very well. Since we of course don't know how strong the Wii U will be since it hasn't even launched yet (it takes a few years to see how strong a console really is on average and it's not until it's twilight days that we see it's maximum output), no one knows how well it'll do. Though since it can obviously run current games without breaking a sweat, there should be no worries on how it'll do in the near future. They never said that. They just said that they currently have no plans right now, but they ARE interested. In fact, one of their studios has a Wii U dev kit and is very excited about it. Also, in this article they just stated that it's another dev that's using their engine to make a Wii U game. They never said they're developing here. @soviet-dictator really that pessimistic and not funny? By the sounds of what he said, Wii U at minimal is what xbox 360 is at it's peak So, that doesn't shock me much, cause so far the Wii U graphics are superb!! Guess I'm mixing them up with another developer then. Anybody care to have a wild guess at the mystery developer? @Soviet-Dictator Yeah if the engine runs like it does on Xbox360 and PS3 it will be on medium settings. @Viper9 Exactly my point. WiiU is not a TRUE next gen console. @Soviet-Dictator Please define "true next gen."
Just b/c the Wii U won't be next gen in 2014 (which I believe, that it's 5 years late to this gen) doesn't mean other systems games won't be ported to the Wii U, because not all developers will make use of all the power the other systems have to offer, especially at the beginning of their lives - i.e. the first game. There are games on the PS3/360 that are also on the Wii, and the Wii is a low powered SD machine w/ no HDD - Skylanders, Rayman Origins, Disney Universe, Lego anything - so no reason to think PS4/Xbox720 games won't be on the Wii U. Of course it won't get exclusives like Uncharted or God of War or Halo but it wasn't going to get those anyway regardless of how powerful the system is - that's why they're called exclusives. As for the myriad of FPS and sports games - well that has yet to be seen, but if the Xbox720 is only 6x more powerful than the Xbox360 than maybe those games will be doable on the Wii U as well. Plus since the Wii U is out first, some games may be made for it and then ported to the slightly more powerful systems. No point worrying about it now though, the Wi U isn't even out yet and the PS4/Xbox720 are barely vapor. Yeah, I also wish it was TimeSplitters. But Crytek says there's no way they're greenlighting it until they see proof that enough people would be willing to pay for it. I say they should do an HD compilation of the first three and see how it sells. Come to think of it, I wouldn't even care if they didn't remaster them in HD, it would still be worth it just to have them in standard def or merely upscaled with online play enabled. Hm...I'm pretty curious to which developer is using the engine right now. Game-wise I'd say it's probably something involving destructible environments and going with realism. Though are there any examples of the engine being used with games that don't use realistic graphics? "No point worrying about it now though, the Wi U isn't even out yet and the PS4/Xbox720 are barely vapor." Exactly. When people talk about these systems (including the Wii U) they seem to already know how powerful they will be. @DrSlump Then the Wii U will be pushed to its full potential to be able to crank out "next-gen" graphics. Besides, the Wii U can handle 1080p HD. I don't think Microsoft and Sony are willing to invent new televisions just so they can have better graphics and more power over the Wii U...it'd be too expensive. @kyuubikid213 Impossible! That makes way too much sense! Power alone is what defines a console and its generation because it's the only thing that matters!!! How dare you bring logic into an argument! I'm not sure where the idea that the competitors consoles will make the Wii U seem like the Wii compared to the 360/PS3 comes from, as to be that much advanced they'd be consoles in the $500 - $1000 bracket. Added to the fact that a huge leap in graphics would mean games costing even more to develop which in turn would up the prices (who'd want to pay $100 - $150 for each game). Nobody even knows what direction the new consoles may take too, as Microsoft seems to be more interested in affordable casual gaming than high end gaming and Sony have had a terrible time lately with huge losses and poor Vita sales which may make a new console launch unpopular with their shareholders. The rumor was that Wii U used a HD4650 GPU, the Durango (Xbox) a HD6650 and the Orbis (PS4) a HD7650. There isn't much difference between those GPUs (in fact the 4650 is often faster than the 6650, although it was also rumored that the Durango would run 2 HD6650s), but the fact that the Wii U is running 2 screens at once means that its GPU takes a performance hit. @Soviet-Dictator So True next generation is just more powerful graphics then? And you like many don't put a number on how more powerful a console has to be compared to Xbox/PS3 to be next gen - next gen is whatever power PS4/720 has right? See I will be buying 3 next gen consoles in the next few years...say whatever you want but Wii U is one of them! That's nice to hear. I wonder what the game is.. 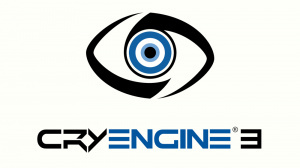 If it runs CryEngine 3 well, it ought to be able to run Unreal Engine 4 and any other comparable so-called 'next-gen' engine. 'Scalability' is key, because the games have to run on anything from a high end pc to a mobile phone device..Gabe Newell said something to the same effect. I'm fairly certain Valve are waiting for the other two consoles to release Source2...and Gabe interestingly pointed out that the Wii U fitted in well in terms of their scalability structure looking ahead. That's not to say Wii U versions of the same cross-platform games will measure up to the new X-box & PS, but it doesn't seem that the gap is anywhere near as great this time around...from the snippets we know. If only Crytek could make a decent game. I agree totally! Thanks to the immense success of the iPad and iPhone, all these middleware engine makers have scalability as their first priority! What is a generation of consoles? Well Nintendo have been releasing their consoles every 6years but MS and Sony had their respective consoles scheduled for 2016! That means if they were to go ahead with it they'll be screwed because while WiiU dominates the console market, XBox360s and PS3s may be put aside. Then they release 720 and PS4 in 2016 Nintendo are already working on the Next Next Gen for 2018 to continue their 6year Console lifespans. Thus no more is WiiU at the centre of Nintendo's Market but the WiiZ (or whatever). MS and Sony HAD to bring their consoles forward to stay in the market. Does this mean they're scared of what Nintendo can do? Are their prices going to stay competitive with WiiU's £250 apx (speculative) or are they going to continue in the same vein as their previous consoles and charge £450-£600? And if they go with the cheaper option, is it really business-smart? Why is labeling what gen it will be so important? Don't be sheep. I still play NES games because of the enjoyment. What is that one? First gen? Second gen? I don't care. Tablet connectivity will be emulated just like motion controls. I don't care who did it first. There's only one with the Nintendo magic behind it. This should be exciting for all Nintendo fans and instead of reveling in what's coming up in the near future, we're worried about how the competition will "trump" Nintendo??? MS and Sony will play their cards accordingly and they will come out with new consoles to keep up in the console race. That doesn't mean it will spell doom for Nintendo so just sit back and see what happens. Nintendo won't let us down as they HAVE to learn from their past mistakes while building on their continued success as a video game company. I really wish Nintendo upgraded their systems just like Xbox and PS3. @Soviet-Dictator umm yea, I am sure you dont understand his post. He said "IF it runs like 360 or ps3". He didnt say it will! Also i dont by into this whole "true next gen console" crap. The leap from ps2 graphics and ps3 graphics are over now. Heck, most games on console cant even get a good 1080p out of them so exactly how "true" can next gen get? Are you all just a bunch of idiots? This IS the next generation of Nintendo hardware. If it was brought out instead of the wii then it is LAST GEN (wii ps3 xbox360 ipad android) but it wasnt. It comes off the competition that is microsoft and sony. "WiiU is designed to do everything the current HD consoles can not do"
@DrSlump the key here was "Minimum", implying that at it's lowest level the Wii U is equal to the 360 in terms of capability. But he is actually saying that the Wii U is MORE powerful than the 360. @Nico07: Yes you're right, sorry. I own my Wii U since december, and i must say that it's not bad at all. It's small, stylish and the pad is a good idea. What i've personaly changed technically are joust the ram amount, 4GB instead of 2 and the clocks: 2,2Ghz for the CPU and 800Mhz for the GPU. According to me these values are the best compromise between price and performances. The final price of the wii u would be raised by 20$ becouse of the better die quality needed, the cost of ram and slight better heat sink.